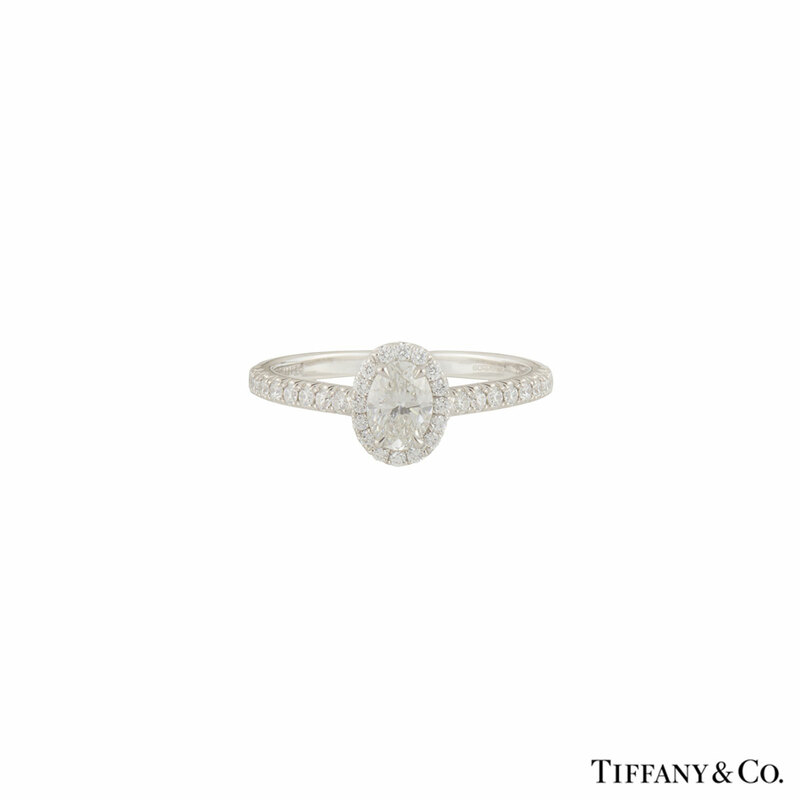 A beautiful platinum diamond Tiffany & Co. engagement ring from the Soleste Oval collection. 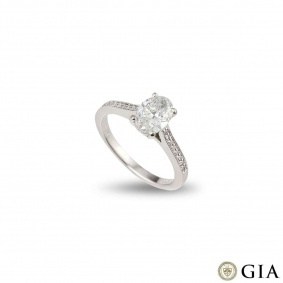 The ring comprises of an oval cut diamond in a 4 claw setting with a weight of 0.34ct, F colour VS1 clarity. 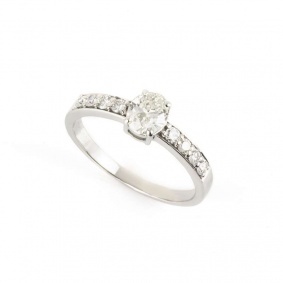 The diamond is complemented with a halo of round brilliant cut diamonds claw set and round brilliant cut diamonds down the shoulders, with a total weight of approximately 0.47ct, well matched in colour and clarity. The ring is a size J and has a gross weight of 3.00 grams. The ring comes complete with a RichDiamonds presentation box and original diamond report.